A new weather system soon to be tested. Get ready for the rains and storms! 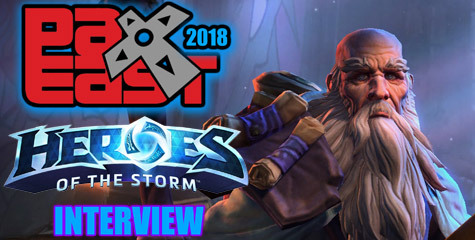 Eyonix shared with the community the progress of the Developing Team on Weather Effects. Three new Weather types are been tested at this point. However, there is no ETA for the release of this new feature. 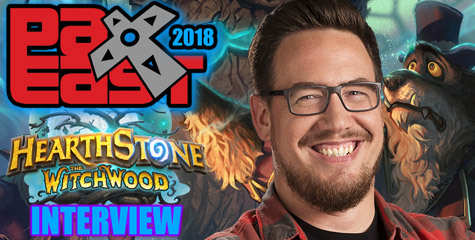 Eyonix: “The development progress for weather effects continues to move forward, and before long we hope to offer additional information on the subject. I will offer up one exciting bit of information – currently, three types of weather are “in the works”, each one designed to bring Azeroth to life in a unique fashion. Death Coil – The cooldown on this spell has been reduced to two minutes and there will now be a short duration (3 sec), non-diminishing fear effect applied to the target. The mana cost has been increased so the spell is less efficient for purposes of DPS. Pyroclasm ? Now gives a chance to stun when Rain of Fire, Hellfire and Soul Fire hit the target. Damage over Time – in patch 1.8 we?ve lowered the duration of Corruption and Curse of Agony, increasing the damage per tick. Bane Talent – will now reduce the casting time of Soul Fire and Immolation spells in addition to Shadow Bolt. The second improvement affects Intensity, which will now reduce the chance to be interrupted while casting Rain of Fire, Hellfire and Soul Fire spells. Ruin – next patch we’ve also slightly reduced the critical damage bonus of Ruin. This change is very small and shouldn’t impact overall Warlock DPS to a noticeable degree. Soul shard bag – The Shard Bag is pending programmer time, which is divided amongst many tasks and projects. The designers are pushing for its production, however. All that I do know at this point in time has been stated before – the bag will be able to hold more Soul Shards than the normal bags which are available, easing the burden of shard management. For years the mages of Moonbrook have debated, “If a brave warrior falls in a forest with no one to hear it, then does it make a sound?” Download Deadfall a new Bonus map for Warcraft III: The Frozen Throne. On September 12th we detected a dramatic increase in temperature at different data centers. We then brought down the servers to avoid any damage to the hardware. Our ISP quickly identified and rectified a failure in the air-conditioning system; however, before re-opening the servers, we brought our hardware manufacturer on-site to check for any damage. Warcraft III has been updated in recent days with the 1.19 patch and many of the maps available for ladder play have received a fresh coat of polish. Blizzard invites you to their first in-depth look at Ladder Season III and the new ladder implementation. World of Warcraft gets buzz.yahoo-ed with a small article reporting the Zul’Gurub plague that has been expanding through Azeroth, and makes a joke that hopefully the monthly $15 players get a virtual healthl plan attached. Our peer-to-peer software partners, XFire updated now to version 1.45—XFire now includes a very highly requested feature Blocking usernames, more download sources, improved voice activation in voice chat, and much more. Read the Release Notes. If you have XFire, just launch it and it will auto-update. If you have never used XFire, and wish to give it a try download it. You may chat with your friends and keep track of what game they are playing. With a button click you can join their game server, and use voice chat. You can toggle XFire Chat window within World of Warcraft without going to desktop. Warcraft 3 Patch 1.19 Released! The Warcraft universe continues to expand, as Blizzard announces the latest patch for Warcraft 3: Reign of Chaos and its expansion set: The Frozen Throne. Patch 1.19 contains new and updated maps, unit and item balance changes, and some new features in the World Editor! Simply connect to Battle.net to download the patch. For more information on this exciting new patch, please click here. Please bear with us while we customize the news headlines—new feature of Blizzplanet. Thanks to DarkNemesis—Chief Programmer. Fantasy Flight Games announced the release of World of Warcraft: The Board Game. You can read the rules and full details at the official homepage. We have added an excerpt from Warcraft RPG: Lands of Conflict—written by Chris Metzen—gathering the Warcraft Timeline since the Titans arrived to year 25 where World of Warcraft the MMORPG begins. The Timeline format is somewhat different to the one in the Official Site. Summarized. Check it out in our Warcraft Timeline section. A few hotfixes will be implemented by Blizzard today to address some issues with Zul’Gurub, Arathi Basin and Blackwing Lair. -Fixed an exploit with drakonids where players could get a head start. -The wild polymorph cast by Nefarius in Blackwing Lair, can no longer be canceled early by clicking it off. -Arathi Basin holiday honor should now be awarding the bonus properly. Fixed a bug that could cause a crash when you return to chat after playing a game on Battle.net. Fixed a bug that could cause a crash when the runeword “Peace” was equipped on a hireling. We have added a new section that will gather Story Arcs of World of Warcraft, gathering most of quest series and new lore. We will be updating the list every week, so keep visiting the Story Arcs Section. The current story arcs have the Defias Brotherhood, Scythe of Elune, Seal of Ascension, Fall of Ameth’Aran, Stormwind Hero Tribute Statues, Pariah’s Instructions: The Five Kahns, and the Centaur’s origin narrated by Celebras the Redeemed, among others. The World of Warcraft patch is live offering the Zul’Gurub Dungeon, Arathi Basin Battlegrounds and the Stranglethorn Fishing Extravaganza, in addition to a plethora of new additions. Feel free to read the Patch notes below . 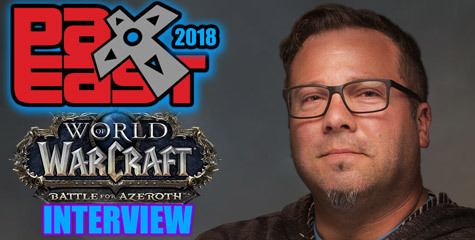 . .
Gamesradar got word from Paul Sams—VP of Business operations of World of Warcraft—that the MMORPG won’t be available in Consoles anytime soon. Tomorrow Tuesday, Blizzard will release two new servers for RP-PvP starting 11AM PST. The new servers are named Maelstrom and Emerald Dream. After the maintenance schedule, fans can start creating their new characters and enjoy roleplaying with other players. Join Blizzplanet/RP-PvP Forum Community to share with other members from the RP-PvP servers. ” We identified the cause of the threat bug that was causing erratic behavior in the Ebonroc and Chromaggus encounters. In fact, the bug could occur in any encounter but due to the length of the above mentioned fights, it’s mainly being noticed there. The bug would cause aggro to “ping-pong” after a certain threat value was reached. We *should* be able to get this bug fix into the 1.7.0 patch. If we cannot get it in there, we’ll try to hotfix it or get it in an incremental patch soon after. Blizzard Entertainment announced the official BlizzCon Costume Contest, co-sponsored by Intel and Alienware. Show up to BlizzCon on Friday, October 28th as your favorite Blizzard Entertainment character and enter to compete with others for prizes and great fun! Interested?